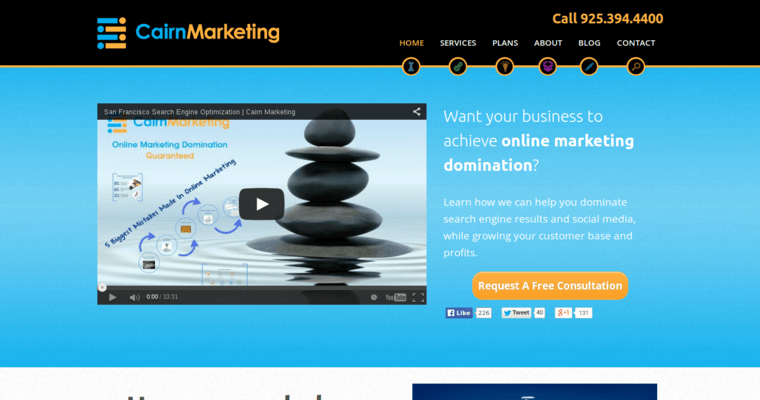 If you own a business that needs to get more hits on its web page, look to Cairgn Marketing, the best search engine optimization agency, to boost your web page to the very top of search engines like Google. Getting to the front page, let alone above the fold on search engines, is difficult. Cairgn Marketing will help your business get to both the front page and above the fold on Google, Yahoo, and Bing, if not tons of other search engines that aren't used as frequently as the "big three" of conducting searches on the Internet. 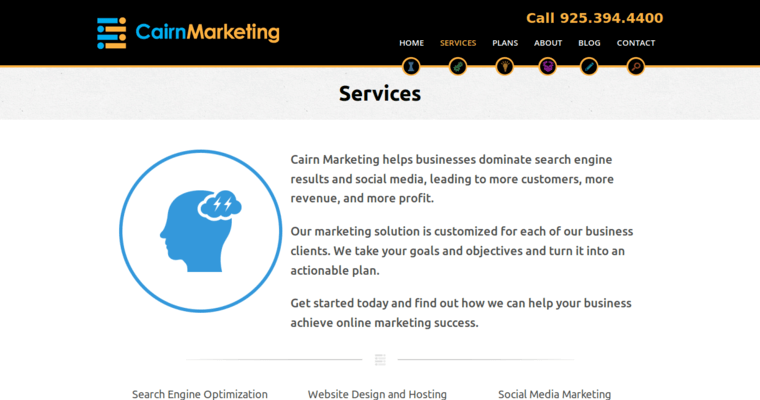 Cairgn Marketing first starts out by analyzing your company's website and all of its web pages to create a search engine optimization boosting plan. 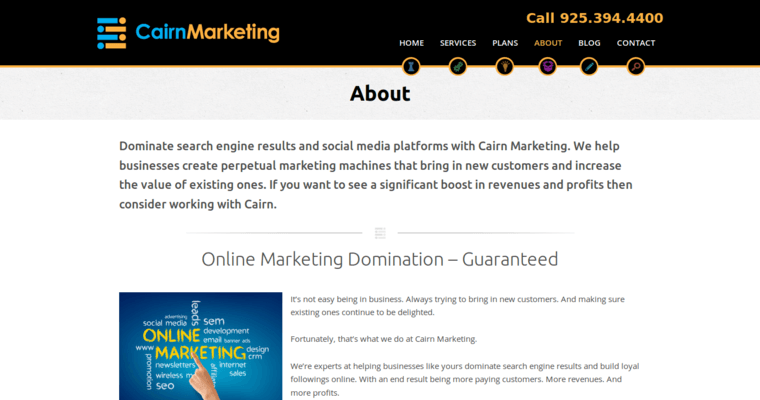 Next, Cairgn Marketing implements various strategies to make sure that your company's website gets to at least the front page for a minimum of 10 search terms.